1639 Death of German composer Melchior Franck in Coburg, Germany. b-Zittau, Germany 1579. 1700 FP of Ariosti's "La festa del Himeneo" Berlin (1700). 1723 Johann Sebastian Bach becomes cantor of the Thomasschule in Leipzig, Germany. 1728 (JC, GC=12 JUN) The Royal Academy of Music closes after a revival performance of Handel's opera Ademto in London. 1755 Birth of English composer Federigo FIORILLO in Brunswick. d-1823. 1757 Birth of Austrian piano maker Ignaz Joseph PLEYEL near Vienna. 1771 Birth of Italian composer, conductor and violinist Ferdinando PAER in Parma. d-Paris, 3 MAY 1839.1839. Opera Works list. 1772 Death of English baritone and painter Marcellus Laroon. b-London, 2 APR 1679. Sang in FP of Grove (Purcell D). Rival Queen (Purcell D). Macbeth (Leveridge). 1813 FP of Meyerbeer's "Wirth und Gast, oder Aus Scherz Ernst" Stuttgart. 1826 Birth of piano maker F. W. BECHSTEIN in Gotha. C Bechstein Company site. 1834 Birth of German cellist Wilhelm MULLER. From family of musicians. 1836 FP of Donizetti's "Il campanello de Notte" Naples. 1849 Birth of American composer James Henry FILLMORE, Sr. in Cincinnati, OH. d-Cincinnati, OH 8 FEB 1936. 1862 Birth of Italian mezzo-soprano Alice BARBI in Modena, 1 JUN 1862. d-Rome, 4 SEP 1948. 1879 Birth of Russian pianist Mark HAMBOURG. 1881 Birth of Hungarian mezzo-soprano Margaret MATZENAUER in Temesvár. d-Van Nuys, CA, 19 MAY 1963. MET Opera Début 13 NOV 1911 [Amneris] Aida, 19 seasons (1911-30) 380 perf. 35 roles, 29 works. m-Edoardo Ferrari-Fontana, 8 JUL 1891. Debut as Puck in Oberon (Weber) 15 Sep 1901. Teachers were Franz Emmerich, Antonie Mielke, Ernest Preuse, Georgine van Januschowsky. Pupils were Blanche Thebom, Nell Tangeman. Created Margarita in Quattro Rusteghi (Wolf-Ferrari). Eros in Eros und Psyche (Zenge). Sang in premiere of Sancho (Jacques-Dalcoze). Musenfranz (Kossler). Vaterunser (Rohr). 1884 Birth of German soprano Henriette GOTTLIEB in Berlin. d-1943. 1885 Birth of Polish baritone Eugeniusz MOSSAKOWSKI in Lodz. d-Warsaw, 13 JUN 1958. Debut 1921. Teacher was Waclaw Brzezinski. Created King Roger in King Roger (Szymanowski). 1886 Birth of Norwegian tenor Gunnar GRAARUD in Oslo. d-9 DEC 1960. Debut 1919. Teachers were Fred Husler, Konrad von Zawilowski. Sang in FP of Campana Sommersa (Respighi). 1889 Birth of Swedish mezzo-soprano Sigrid ONEGIN aka Elisabeth Elfriede Sigrid Hoffmann, Lilly Hoffmann, in Stockholm. d-Magliaso, Switzerland, 16 JUN 1943. German father and a French mother. She studied in Munich, Milan, Frankfurt. 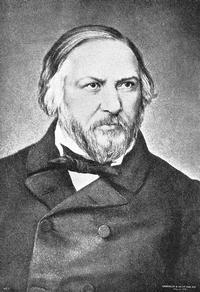 m- Russian composer and pianist Eugen B. Onegin. Her début was as a concert singer under the name Lilly Hoffmann (1911). Opera début Stuttgart [Carmen]. London début (1913), under name Lilly Hoffmann-Onégin, Munich (1919-22). In America for a series of twenty concerts (1922); Covent Garden [Amneris] (1927); Salzbutg Gluck's [Orfeo] (1931); Berlin (1926-33); Bayreuth (1933-4) début [Fricka] Das Rheingold. She recorded for Polydor, Brunswick, HMV and Victor. In 1931, Onegin settled in Switzerland. MET Opera Début 22 NOV 1922 [Amneris] Aida, 2 seasons (1922-24) 22 perf. 5 roles, 3 works. Debut as Carmen in Carmen (Bizet) 1912. Teachers were Louis Bachner, Di Ranieri, Jakobi, Lilli Lehmann, Eugen B. Onegin, Luise Resz, Margarethe Siems, Eugen Robert Weiss. 1892 Birth of American composer Samuel BARLOW in NYC. d-1982. 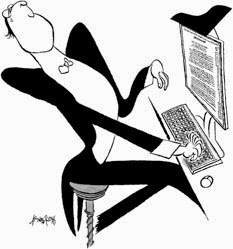 1899 Birth of German pianist Werner HAAS in Stuttgart. d-13 OCT 1976. 1899 Birth of American composer and conductor Werner JANSSEN in NYC. d-19 SEP 1990. 1903 Birth of English organist and composer Percy WHITLOCK in Chatham, England. d-Bournemouth, England 1 MAY 1946. 1903 Opening of Buxton Opera House in Derbyshire, England. In early years featuring performances by Gertrude Lawrence, Evelyn Laye, Gracie Fields and Hermione Gingold. 1906 Birth of Russian opera and film composer Andrei BALANCHIVADZE in St. Petersburg. d. ? Son of composer Meliton Balanchivadze. Brother of George Balanchine. Opera, "Mzia" (Tibilisi, 1950); "Zolotaya svad'ba" (Tbilisi, 1969). 1906 Birth of English recording executive Walter LEGGE in London. d-St. Jean, Cap Ferrat, 22 MAR 1979. A promoter of high-grade recordings of classical music with the Gramophone Co. of London. m-soprano Elisabeth Schwarzkopf in 1953. 1909 Birth of Polish violinist Szymon GOLDBERG in Wloclawek. 1909 Death of Italian composer Giuseppe Martucci at age 53, in Naples. b-Capua, Italy 6 JAN 1856. 1910 Birth of Welch baritone Roderick JONES in Ferndale, S. Wales. d-16 SEP 1992. Debut 1945. Created Balstrode in Peter Grimes (Britten). Sir John Falstaff in Sir John in Love (Vaughan Williams). Assistant Master in Sleeping Children (Easdale). 1916 FP of Houseley's Cantata "Omar Khayyán" Denver. 1917 Birth of Czech baritone Premysl KOCI in Rychvald. d-16 JAN 2003. Teachers were J. Soupal, Rudolf Vasek. Pupils were Marta Bohacova, Marie Vesela, Eva Zikmundova, Libuse Marova. Created Prometheus in Torch of Prometheus (Hanus). Sang in FP of Kraluv Mincmistr (Vostrak). 1921 Birth of American arranger and conductor Nelson RIDDLE. Noted arranger-conductor for Frank Sinatra, Rosemary Clooney, Nat ´King´ Cole and Capitol Records pop singers of the '50's and '60's. d-6 OCT 1985. His estate and musical memorabilia, arrangements etc left to the Music Dept. of The University of Arizona, Tucson. Life profiled in book September in the Rain: The Life of Nelson Riddle, by Peter J. Levinson. 1923 Birth of German tenor Willy Van HESE. Sang in FP Jonker Lichthart (Van Hoof). 1923 FP of Roussell's "Padmâvatî" opera-ballet, Paris. 1924 Birth of mezzo-soprano Laura SARTI in Trieste. Teachers were Emmy Heim, Lucie Manen. Pupils were Brian Bannatyne-Scott, Alasdair Elliott, George Mosley, Anne Marie Owens, Christopher Robson, Rebecca de Pont Davies. 1924 Birth of English music administrator Sir John TOOLEY. The general director of the Royal Opera House, Covent Garden, 1980-88. 1929 Birth of Canadian-American composer Yehudi WYNER in Alberta, Calgary. 1933 Birth of Polish tenor Walter GULLINO in Djilolo. 1936 Death of Bulgarian soprano Kristina Morfova. b-6 MAY 1889. Pupil was Janko Blaho. 1938 Birth of tenor Walter Gullino in Djildo. Debut as Almaviva in Barbiere di Siviglia (Rossini) 1958. Teacher was Beniamino Gigli. 1941 Birth of Dutch conductor Edo de WAART in Amsterdam. 1941 Death of Canadian composer Paul Ambrose in Hamilton, Ontario. b-Hamilton, 1 JUN 1941. 1942 Birth of flamenco guitarist Professor Paco PEÑA. 1943 Birth of American pianist Richard GOODE in Brooklyn, NY. 1945 Birth of American mezzo-soprano Frederica Von STADE in Sommerville, NJ. MET Opera Début 10 JAN 1970 [Genie] Die Zauberflöte, (as of 2000) 16 seasons (1970-2000) 287 perf. 28 works. Debut as 3rd Boy as Zauberflote (Mozart) 10 JAN 1970. Teachers were Paul Berl, Sebastian Engelberg, Otto Guth Created Tina in Aspern Papers(Argento). Marquise in Dangerous Liaisons (Susa). Nina in Seagull (Pasatieri). Joseph's Mother in Dead Man Walking (Heggie). 1946 Death of opera concert singer Leo Slezak at Egern-am Tegernsee, Germany, at the age of 72. b-Schonberg, Moravia, 18 AUG 1873. Debut as Lohengrin in Lohengrin (Wagner). Teachers were Jean de Reszke, Adolf Robinson. Son, actor Walter Slezak, published his father's letters in 1966. Walter Slezak was a medical student before settling into the comfortable position of bank clerk then actor. 1946 Birth of American soprano Carol NEBLETT in Modesto, CA. 1950 Birth of American tenor Philip CREECH in Hempstead, NY. 1951 FP of Bondeville's "Madame Bovary " Paris. 1954 FP of Milhaud's "David " Jerusalem. 1957 Birth of Brazilian composer Eduardo CAMENIETZKI in Rio de Janeiro, Brazil. 1961 Birth of Slovakian composer Peter MACHAJDIK in Bratislava, Slovakia. 1961 FM multiplex stereo broadcasting was tested for the first time in Schenectady, NY, Los Angeles and Chicago. Developed FCC standards for FM-stereo compatible transmission which began in 1962. 1965 Death of Italian tenor Manfredo Polverosi in Rome. b-Florence, 9 AUG 1882. Debut as Gennaro in Lucrezia Borgia (Donizetti) 1903. Teacher was Elisa Brambilla. Pupils were Renato Gigli, Fiorella Carmen Forti, Orietta Moscucci, Guido Mazzini, Miklos Bencze, Guido Mancini. 1966 Debut of Italian tenor Luciano Pavarotti at Covent Garden in London. Donizetti: [Tonio] "La Fille du régiment" (1966). It was where he was first dubbed the "King of the High C's." 1967 FP of Argento's "Shoemaker's Holiday " Minneapolis. 1971 FP of Menotti's "The Hero " Philadelphia. 1984 Birth of Canadian composer Samy MOUSSA in Montréal, Canada. 1985 Death of Italian soprano Ines Alfani-Tellini. b-Florence, 1896. Debut as Nedda in Pagliacci (Leoncavallo) 1921. 1991 FP of Peter Maxwell Davies' Ojai Festival Overture . Scottish Chamber Orchestra, with the composer conducting in the Ojai Valley north of Los Angeles, CA. 1994 Death of soprano and teacher Jeannette Walters. b-1942. 2000 Death of baritone Oscar Czerwenka. b-Linz, 5 JUL 1924. Debut as Hermit in Freischutz (Weber) 1947. Teachers were Otto Iro, Wilhelm Felden Created Jacobwsky in Jacobowsky und der Oberst (Klebe). Veitlinger in Werbeklied (Salmhofer). Examining Judge / Thrasher in Prozess (Von Einem) Sang in FP of Irische Legend (Egk).